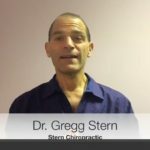 These Terms and Condition of Use govern your use of this site, which is provided by Stern Chiropractic. By accessing this site, you are indicating your acknowledgment and acceptance of these Terms and Condition of Use. These Terms and Condition of Use are subject to change by Stern Chiropractic, at any time in its discretion. Your use of this site after such changes are implemented constitutes your acknowledgment and acceptance of the changes. Please consult these Terms and Condition of Use prior to every use for any changes. You must be eighteen (18) years or older to access this web site. Any person under eighteen years of age is not permitted to access this web site for any reason. It is our policy to comply with all applicable laws related to children’s privacy. No information obtained by this web site falls within the Child Online Privacy Act (COPA) due to the age restrictions for use and is not monitored as doing so. To access this site or some of the resources it has to offer, you may be asked to provide certain registration details or other information. It is a condition of your use of this site that all the information you provide on this site will be correct, current, and complete. 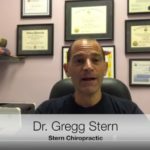 If Stern Chiropractic, believes the information you provide is not correct, current, or complete, we have the right to refuse you access to this site or any of its resources, and to terminate or suspend your access at any time, without notice. Stern Chiropractic, reserves the right, in its sole discretion, to terminate your access to all or part of this site, with or without notice. This site may produce automated search results or otherwise link you to other sites on the Internet. These sites may contain information or material that some people may find inappropriate or offensive. 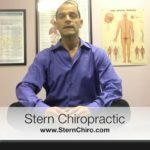 These other sites are not under the control of Stern Chiropractic, and you acknowledge that Stern Chiropractic is not responsible for the accuracy, copyright compliance, legality, decency, or any other aspect of the content of such sites. The inclusion of such a link does not imply endorsement of the site by or any association with its operators. All materials, Information, Software, Products, and Services included in or available through this site (THE “CONTENT”) are provided as is and as available for your use. The content is provided without warranties of any kind, either express or implied, Including, but not limited to, implied warranties of merchantability, Fitness for a particular purpose, or noninfringement. Local Marketing Source, LLC ITS Subsidiaries, and its licensors do not warrant that the content is accurate, Reliable or correct; that this site will be available at any particular time or location; that any defects or errors will be corrected; or that the content is free of viruses or other harmful components. Your use of this site is solely at your risk. Because some jurisdictions do not permit the exclusion of certain warranties, these exclusions may not apply to you. Under no circumstances shall Stern Chiropractic, Its subsidiaries, or its licensors be liable for any direct, indirect, punitive, incidental, Special, or consequential damages that result from the use of, or inability to use, this site. This limitation applies whether the alleged liability is based on contract, tort, negligence, strict liability, Or any other basis, even if a local marketing source, LLC has been advised of the possibility of such damage. Because some local marketing source, LLC jurisdictions do not allow the exclusion or limitation of incidental or consequential damages, Stern Chiropractic liability in such jurisdictions shall be limited to the extent permitted by law. 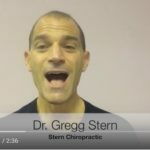 Upon a request by Stern Chiropractic, you agree to defend, indemnify, and hold Stern Chiropractic harmless and its subsidiary and other affiliated companies, and their employees, contractors, officers, and directors from all liabilities, claims, and expenses, including attorney’s fees, that arise from your use or misuse of this site. Stern Chiropractic reserves the right, at its own expense, to assume the exclusive defense and control of any matter otherwise subject to indemnification by you, in which event you will cooperate with in asserting any available defenses. Stern Chiropractic makes no representation that materials on this site are appropriate or available for use in locations outside the United States, and accessing them from territories where their contents are illegal is prohibited. Those who choose to access this site from other locations do so on their own initiative and are responsible for compliance with local laws. These Terms and Condition of Use shall be governed by and construed in accordance with the laws of the State of Arizona, excluding its conflicts of law rules. You expressly agree that the exclusive jurisdiction for any claim or action arising out of or relating to these Terms and Condition of Use or your use of this site shall be filed only in the state or federal courts located in the State of Arizona, and you further agree and submit to the exercise of personal jurisdiction of such courts for the purpose of litigating any such claim or action. Unless otherwise specified herein, this agreement constitutes the entire agreement between you and Stern Chiropractic with respect to this site and supersedes all prior or contemporaneous communications and proposals (whether oral, written, or electronic) between you and Stern Chiropractic with respect to this site. If any part of these Terms and Condition of Use is held invalid or unenforceable, that portion shall be construed in a manner consistent with applicable law to reflect, as nearly as possible, the original intentions of the parties, and the remaining portions shall remain in full force and effect.